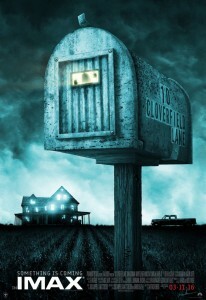 In 2008 JJ Abrams (of Star Wars fame) made a cheeky little horror film called Cloverfield. There’s a street called Cloverfield near Abrams office, and that’s where the name comes from; it was the working title to begin with but the name stuck. Cloverfield Boulevard is a busy, traffic swollen street, frustrating to navigate if you’re trying to get your perennially tardy daughter to school on time. Ever since the movie came out, when I pass through there I imagine aliens landing, even though the film was set entirely in New York. A couple of weeks ago a sequel hit the theaters, called 10 Cloverfield Lane. It doesn’t pick up where the first film left off, instead it takes us to the rural South, where other folks are dealing with the same apocalyptic invasion. It’s kind of The Walking Dead formula, where we encounter different groups of people coping with worldwide catastrophe. This time around we meet Howard (a terrifically creepy John Goodman); Howard’s a conspiracy buff who is holed up in a bunker he built in anticipation of just this sort of thing. He is also sheltering a young woman, Michelle, who he claims he rescued after her car went off the road, and a young man, Emmett, who knew about the bunker and pleaded to be let in. These three share an uneasy existence underground, fearful of what’s going on in the world, torn between trying to get along and feeling suspicious of each other’s intentions. I kind of loved this movie – it was fun, and I liked the tough and determined heroine and the way the surprises came just like that, out of the blue. (None of these long scenes where you watch some guy go inexplicably deeper and deeper into a dark, scary basement while suspenseful music plays.) I saw it in North Carolina, on a smallish screen in one of those fancy kinds of movie theaters, and I kept jumping in my cushy seat. The film was directed by Dan Trachtenberg, a young dude who has never directed a feature film before. That’s pretty cool. 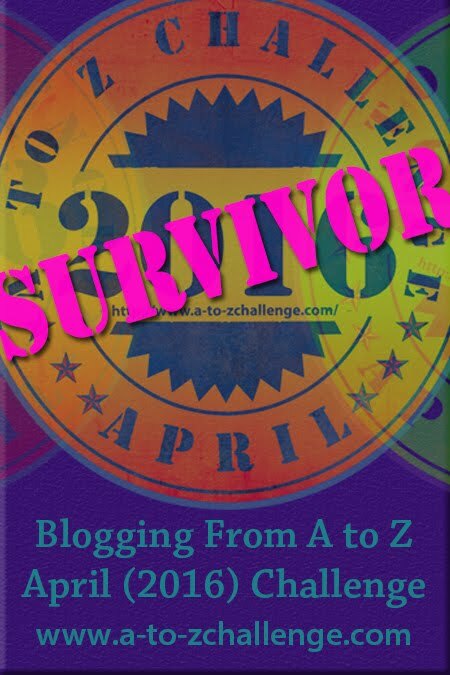 And that’s day three of the A-Z blogging challenge. C is for Cloverfield. Thanks for stopping by.